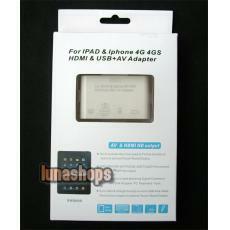 *Send audio&video from ipad to TV;this function is apply to iphone/iTouch/Nano/Classic. 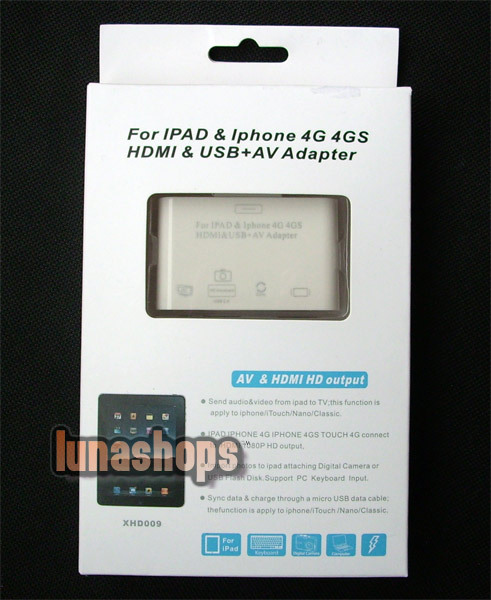 *IPAD IPHONE 4G IPAD IPHONE 4S TOUCH 4G connect to HDMI 1080P HD output. *Import photos to ipad attaching Digital Camera or USB Flash Disk.Support PC Keyboard input. 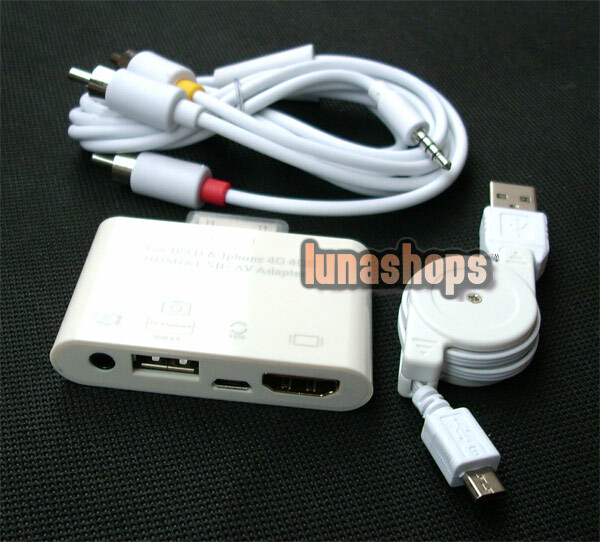 *Sync data & charge through a micro USB data cable;the function is apply to iphone/iTouch/Nano/Classic. 1 x Mirco USB cable.